This is the story of a young woman’s first encounters with rural South Africa. Coming from the all-mod-cons society of Britain at the beginning of the 1980’s, the author is literally transplanted to a farm in the foothills of the Drakensberg mountains in what is now Kwazulu Natal. an appealing but wily African farm hand, his practical and motherly daughter and a wise and fascinating neighbour who has a fund of local knowledge. include living without electricity, hand-milking cows, drought, veld fires and mad-cap adventures into the unknown. They are stories told with deep affection and respect, and above all a liberal dose of tongue-in-cheek humour. Valerie Poore’s African Ways is a brilliant memoir that draws the reader in from the first page. It is obvious from the beginning how much this author opens herself to people, places…and adventures that most of us would back away from. I was enthralled throughout by her wonderful descriptions of the land where she made her home with her husband and two young children for three years in the 1980s ( a farm in Natal, South Africa). The love she has for the country and for the neighbours and friends that surrounded her (some with such fabulous names!) shines through in her writing. Despite everything: the droughts the families endured, the fires ( I was riveted by her portrayal of the unbelievably brave way she, her husband and friends battled against one fire and then, though exhausted, continued their BBQ), the venomous snakes, the swarm of bees that invaded her home and the lack of electricity, it is obvious she embraced the whole experience. And, threaded throughout the author reveals her superb sense of humour; there are some great ‘laugh out loud’ stories and even some chuckles, despite the dangers, recollections. African Ways is a memoir I can thoroughly recommend. In fact I would say, you should…really you should…read this book. Val Poore was born in London, England, and grew up in both north London and the west of Dorset. After completing her degree in English, History and French at Bournemouth, she took a further course in the conservation and restoration of museum artefacts at Lincoln College of Art which qualified her for nothing at all really. She then spent two years doing furniture restoration before going to South Africa in 1981 with her husband and small children. Valerie left South Africa permanently in 2001 and has settled in the Netherlands, where she shares her time between a liveaboard barge in Rotterdam and a cottage in Zeeland. She teaches academic and business English on a freelance basis and still writes in her spare time, although she admits there’s not enough of that at the moment. In fact, she has been writing since childhood and wrote stories, articles and radio plays for years before embarking on her first book in 2005. Val loves travelling especially when it involves roughing it a bit. She feels that she has better adventures and more interesting experiences that way. She has written six books altogether: the Skipper’s Child (teen/kidult fiction), How to Breed Sheep, Geese and English Eccentrics (sort of grown-up, humorous fiction), Watery Ways and Harbour Ways (memoirs of her first years of living on a barge in Holland), Walloon Ways (three years as a weekend Belgian) and African Ways (a memoir her life on a farm in South Africa). Her seventh book (another novel) is in progress but is taking rather longer than she had hoped. This is simply due to real life getting in the way. 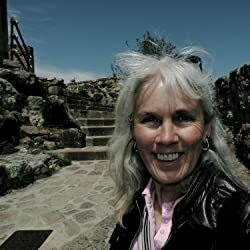 This entry was posted in #travel writing, Action- adventure books, authors, blogging, Book Reviews, Books, Challenges, contemporary fiction, Memoirs, Non Fiction, Review and tagged #women, African Ways, books, humour, memoir, Relationships, South Africa, Valerie Poore, writing by Judith Barrow. Bookmark the permalink. That does sound like a must read – very different from the experiences most of us have had. I think you would, Mary, it’s a great read. Not long but very interesting. Great review. Just added African Ways to my TBR! Thanks so much for dropping by, Bette. I loved this book. This one has just leapt onto my TR list… I love reading Valerie’s books! It really is an excellent read – loved it. Fantastic review, Judith. I am definitely going to read this. It’s a fabulous read, Robbie. I’m so glad you loved it!!!!! I did. And, following your review on the last travel book you recommended I didn’t check other reviews and took a punt. Brilliant read – thanks for the heads up. Lovely chatty style of writing just right for a memoir as well. Cheers. Nice of you to review and share! Looks to be a good read! It’s an excellent read, Jerry. Thanks for dropping by. Getting an attractive book cover is an essential need for every writer, and I must agree that this is a nice cover because it caught my attention. I was really upset and discouraged when I was getting good reviews for my book content but bad remark about the cover. I found an agent https://goo.gl/opVdr1. who provides me with real quality and unique book cover design which brought human traffic for my book https://goo.gl/opVdr1. Now I write with passion and joy because I know I have an illustrator who will be able to capture all my idea into a captivating cover design which is the first thing that prompts a potential reader to pick up any book. I have been using her services for sometime now and she is the best so far. I like discovering unusual memoirs and this looks ideal for me. Another for the TBR pile, I think! Thanks for sharing your review. It’s a wonderfully written memoir, Stephanie Jane. Highly recommended. Thanks for dropping by.